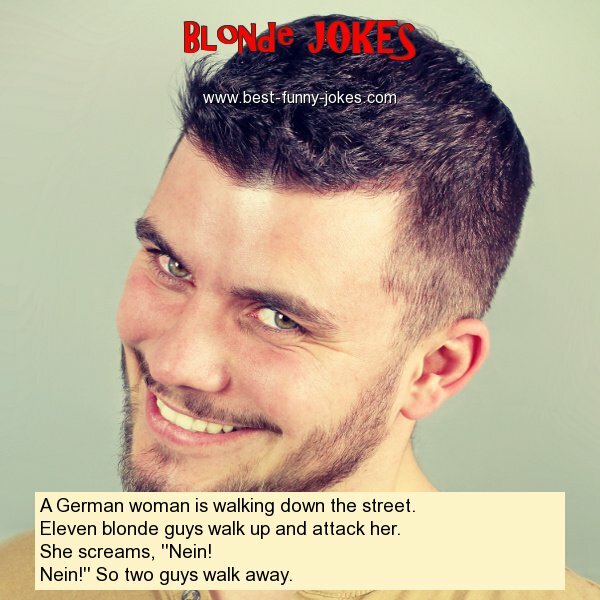 A German woman is walking down the street. Eleven blonde guys walk up and attack her. Nein!'' So two guys walk away.